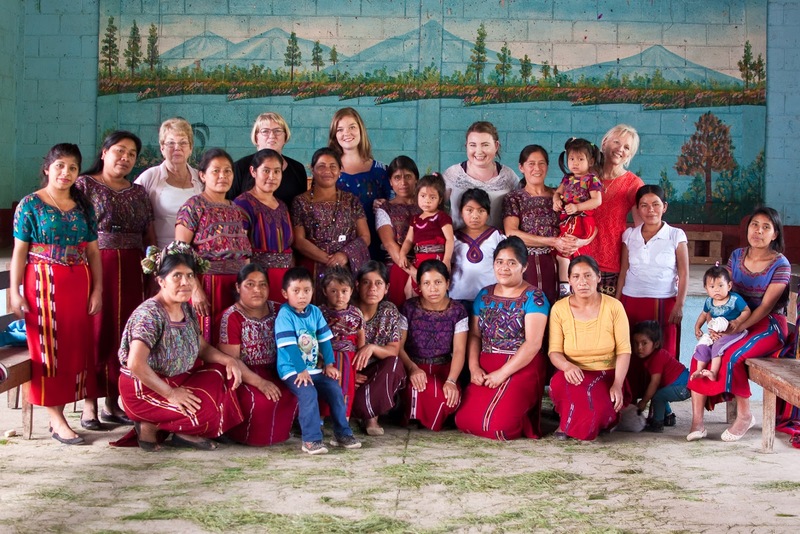 One of my favourite memories of this trip to Rio Azul is our day with the Leader Mothers' group. Food for the Hungry (FH) often calls them Cascade Groups because they pass on their training to other mothers, who in turn pass their training on to even more mothers, and so on. In this relational way, knowledge naturally "cascades" throughout the community. We met up with the ladies in the community hall next to a local school. Their group was smaller than normal as some women had to tend to other business that day, but those who gathered presented their mission, vision, values, and goals to us with fervor and conviction. The Leader Mothers' group has a strict policy that everyone works together and that every voice matters. Respect for each other is extremely valued. This was proven as Ana stood up in front of the group. She has been a member of the Leader Mother’s Group since the very beginning, pioneering the way for the women in her community. She spoke with such authority, passion, and intention that every single woman in that hall was on the edge of her seat. Despite most having children crawling all over them, their focus and respect was not broken. It was captivating. Encouragement and optimism filled the air. Ana explained in detail how the Leader Mothers' group follows the “Jesus model” where women grow the group up to twelve members, mimicking Jesus and his twelve disciples. When the group is big enough they multiply to start another group. Every Wednesday they meet to go over the material and values of the group. Each group member has their own set tasks and mission which includes: who they will visit at their homes, what priorities are crucial to each individual visit, what materials they should bring with them, and what immediate issues need to be tackled. The very concept of how all these women are involved as volunteers and spend so much time helping their fellow neighbors amazed me. They truly work together as they help educate their neighbours, as they provide hope and wisdom, and share a listening ear and open heart. Together they are walking alongside each other as they grow spiritually, emotionally, physically, and intellectually. Skip forward to Thursday, our last full day in Rio Azul - the Leader Mothers all gathered again in the hall. This time there were more women, more children. The blend of Ixil, Spanish, and English bounced off walls creating a beautiful sound of unity. The women gathered specifically to praise the Lord, have a devotional, sing songs of worship, and to celebrate the fast friendship we formed on this trip. Some women stood up and expressed to the entire group their appreciation of partnership and their understanding of working together. The very act of partners visiting brings a renewal of hope and that they are not alone - friends from around the world are with them – always. 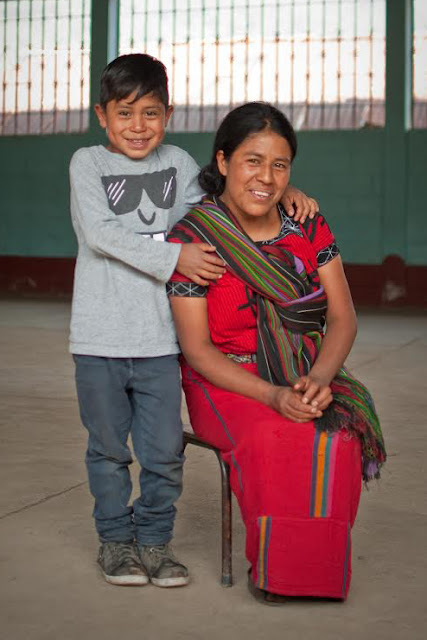 Support Leader Mothers in Guatemala by giving a Chubby Cheeks.